Take a leap this Valentine’s Day and ditch the routine for something exciting. From chocolate-covered strawberries and a bottle of bubbly in bed to your very own Couples Concierge and a private hot air balloon ride through the mountains, these properties around the globe are prepared to help you celebrate your February 14th in style. After all, isn’t love all about experiencing the world with your better half? 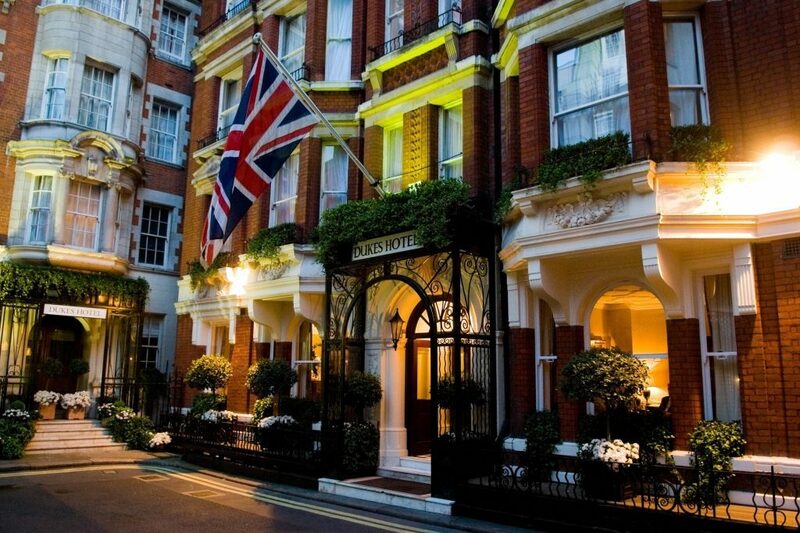 The quintessentially British DUKES LONDON tucked away in the heart of St. James Mayfair is a classic setting for a romantic Valentine’s Day getaway of exploring London’s cultural heritage, enchanting royal gardens and stunning landmarks. St. James has been the neighborhood of royalty since the 16th century, and the stately residences, charming city squares and luxurious boutiques explain why. Couples can stroll through Mayfair to find views from the Blue Bridge, exquisite shopping on Jermyn Street and quaint eateries. After a day of exploring beautiful Mayfair, head back to the hotel for a famed DUKES Martini at DUKES Bar, a true British meal at GBR, or wind down out the hotel’s Beditation Butler service. The historic property is welcoming guests to celebrate the romantic holiday with a Valentine’s Package complete with a romantic dinner for two, bottle of wine, chocolate-dipped strawberries, and breakfast. The Valentine’s Package promotion is valid for bookings made from January 1, 2019 for stays from February 14, 2019 through February 17, 2019. Bookable with the rate code “PROVALDBB”. Renowned as the place to celebrate a special occasion, The Shelbourne is offering the Couples Concierge in honor of Valentine’s Day. 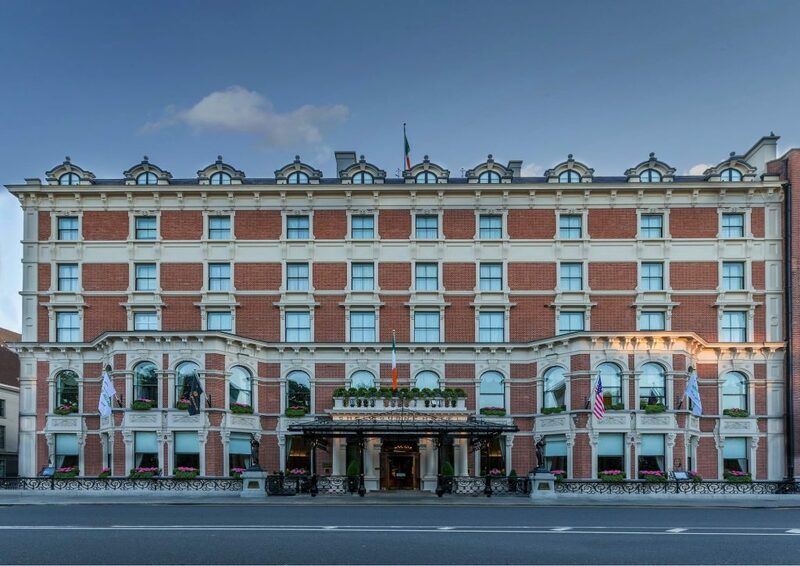 From February 14 – 17, 2019, lovebirds visiting Dublin can book a 3-night stay at The Shelbourne with the Couples Concierge. Complete with a rose petal turndown and lavish breakfast in the Saddle Room Restaurant. The Couples Concierge can also arrange extra treats and surprises whether that is dinner for two, Champagne & Oysters, breakfast in bed, chocolate dipped-strawberries or one of the in-house florists’ gorgeous hand-tied bouquets. Rates starting from €350 per Deluxe room per night, with additional extras at a variety of prices, designed specifically for each couple. 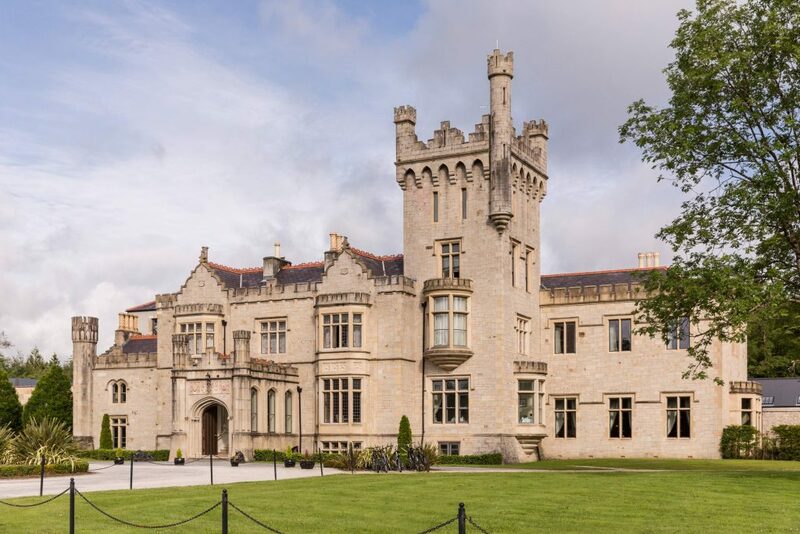 Tucked away along the edge of Lough Eske in Donegal, Ireland, Lough Eske Castle is a romantic and cozy escape, great for couples and even more fitting for Valentine’s Day. Available from February 7 – 17, 2019, Lough Eske Castle’s Valentine’s One Night Package and Two Night Package welcomes couples with luxury handmade chocolates and chilled Prosecco upon arrival, an intimate candlelit dinner at Cedars Restaurant and rose petal turndown, and complimentary access to the fitness center and indoor heated swimming pool in the Spa. Package rates starting at €359 per couple. Romance Getaway Package. 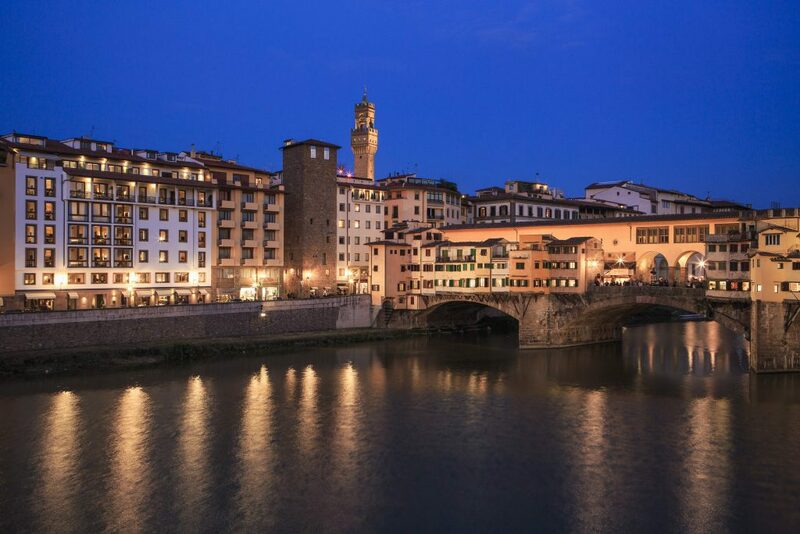 This package combines the best of intimate relaxation in the hotel with all the must-see sights of Florence: upon arrival, fine wine and flowers in the hotel room, and enjoy a massage of choice at the White Iris Spa, and embark on a private Renaioli boat tour to take in Florence’s views with a little added romance. Fratelli Piccini, a landmark of Florentine jewelry dating back to the 16th century has partnered with Lungarno Collection to offer lovebirds the exclusive opportunity to experience artistry and craftsmanship. Couples staying at Lungarno Collection properties are able to experience a private tour and Michelin Star dining experience in the Fratelli Piccini workshop and private atelier, located on the Ponte Vecchio. The jeweler can create a custom piece, and archive the jewelry mold for many years to come. 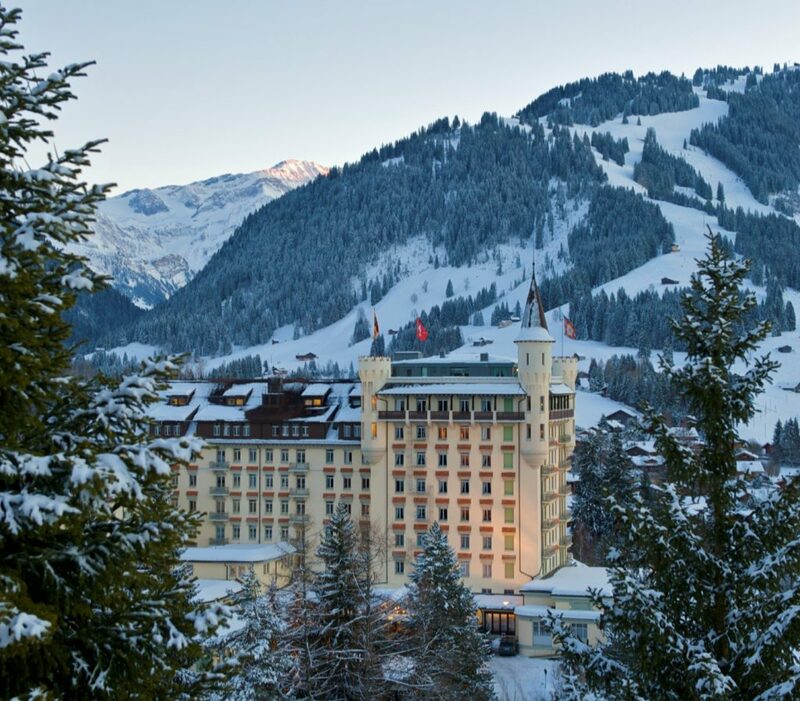 Nestled in a sweeping, snowy valley below the Alps, Gstaad Palace is one of Switzerland’s most romantic and glamorous ski hideaways and a longtime hotspot for celebrities, royalty, and international travelers. The Saanenland region is a world-renowned winter sports destination, boasting picturesque trails for every skier from beginner to expert. For couples looking to enjoy the beautiful fresh snow without the use of skis or hiking boots this Valentine’s Day, they can enjoy the Palace’s Lunch by Helicopter – Between Heaven and Earth. This new offering invites guests to climb into a helicopter for a flight to the Matterhorn, one of the highest mountains in the Alps and a Swiss landmark. Once there, the couple will enjoy a special champagne aperitif on the move and lunch at almost 9,000 feet above sea level. 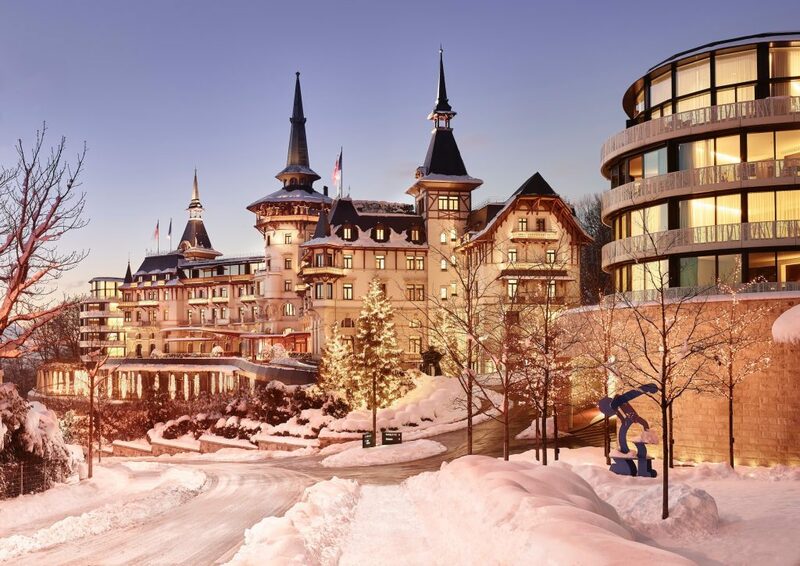 Overlooking bustling European metropolis, Zurich, The Dolder Grand offers a celebration of love with luxurious touches. The Sweet Love package is available from February 8-24, and includes breakfast, a bottle of champagne with chocolate-covered strawberries, late check-out and unlimited access to the Dolder Grand Spa. A notable treatment, perfect for lovebirds, is the over-the-top “Meet Me at Midnight.” The luxurious package offers couples the opportunity to enjoy the spa entirely on their own and after hours: complete with champagne, chocolate strawberries, candlelight and rose petals, couples can indulge in the 4,000-square-meter spa’s offerings such as the sauna, Snow Paradise or large pool. For an intimate evening on Valentine’s Day, the hotel’s Michelin-starred dining, The Restaurant offers an 8-course dinner to celebrate, while Saltz Restaurant, the more casual dining option offers a 4-course Valentine’s Day menu. Images The Dolder Grand are available here. Note, starting rate for the Sweet Love package is $826 USD for two persons. 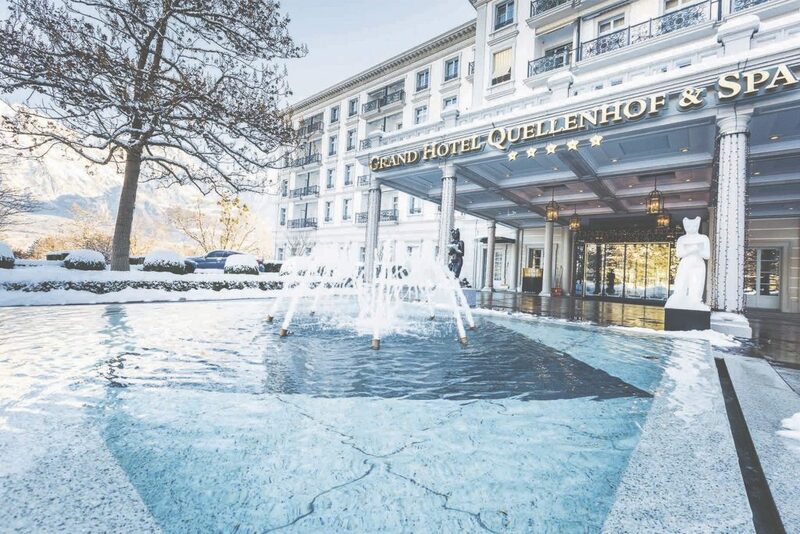 Nestled in the Swiss Alps and idyllic town of Bad Ragaz, Switzerland, Grand Resort Bad Ragaz is the perfect relaxing destination for Valentine’s Day. The leading medical wellness center in Europe runs on the natural thermal waters from Tamina Gorge and couples will enjoy soaking up the natural minerals and healing properties in the Thermal Spa. To add to the romance for Valentine’s Day, lovebirds can enjoy a Private Spa with a whirlpool, hydromassage shower, steam bath, sauna, home cinema and private treatment and dining areas, and experience ritual-based couple’s therapies such as haki-rituals– a specialized treatment you can only find at Grand Resort Bad Ragaz, which utilizes the “art of touch” to eliminate physical and emotional pressures of daily life. For an intimate and luxurious dinner on the Day of Love, couples can indulge in a Michelin-starred meal at IGNIV by renowned Chef Andras Caminada, a one-of-a-kind dining experience offering up to 30 different sharing dishes and perfectly curated wine pairings. This comfortable and deliberate sharing dining experience is sure to spark romance between couples this Valentine’s Day. Images of Grand Resort Bad Ragaz can be found here. 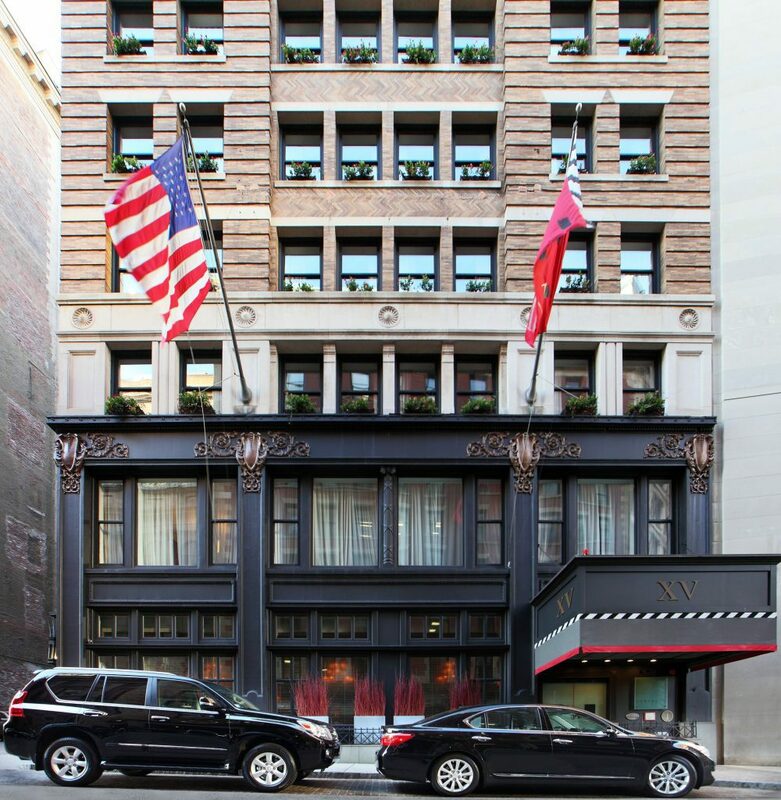 Couples near and far are invited to enjoy an intimate Valentine’s Day retreat at Boston’s favorite boutique hotel XV Beacon. Whether looking for a night on the town or a cozy weekend spent wrapped in cashmere blankets in front of the custom gas-lit fireplaces in each room, couples need not look any further than the historic hotel in the heart of Beacon Hill. Guests can kick off a romantic evening with a meal at XV Beacon’s premier steakhouse Mooo…., and then hit the town with complimentary transportation throughout Boston via the hotel’s Lexus Drive Program. XV Beacon offers guests the chance to elevate their intimate weekend away with the “Romance on The Hill” package complete with a bottle of house champagne, rose petal turndown, chocolate covered strawberries, early check-in upon availability and guaranteed 2 p.m. late check-out. Rates for the “Romance on The Hill” package starting from $495. Inspired by the southernmost region of Italy, the recently opened Sorriso Modern Italian Kitchen is inviting locals and travelers alike to trovare l’amore in the heart of Texas. The only regional Italian restaurant in The Woodlands, Sorriso’s Executive Head Chef Enzo Fargione has curated a menu that takes guests on a culinary journey through Italy. Couples can enjoy house-made fresh pasta, Neapolitan-style pizza, a selection of Italian cheeses and more. Before returning back to Texas, Chef invites lovers to indulge in some of Italy’s signature desserts – from Pannacotta, served Sunny Side Up, to a traditional Gran Baba served with housemade LImoncello, and everything in between – the perfect end to a romantic evening. Throughout the month of February, The Woodlands Resort – tucked within the Texas Piney Woods – is inviting couples to fall in love all over again with their Month of Love Package. Couples who book a stay during the month of romance will be treated to a night for two in one the resort’s luxurious guestrooms, champagne and chocolate-dipped strawberries, and $150 dining credit to be used at any of the resort’s restaurants including in-room dining and the award-winning Robard’s Steakhouse. For those yearning for more love can indulge in an array of on-property offerings. Ladies will enjoy an evening filled with garden-to-glass cocktails and foodie specials during Galentine’s Night on February 13th. Aspiring artists (or those looking to channel Bob Ross) can sign up for Wine & Paint class on February 15th providing an idyllic Friday night date. Foodies can delight their taste buds with a 5-course pre-fixe dinner at Robard’s Steakhouse – which includes award-winning dishes such as the Texas Two-Step Donut Sundae by Executive Pastry Chef Ryan Witcher. Gameshow enthusiasts are invited to watch three selected couples test the knowledge of their relationship at the special ‘Love & Marriage Show’ on Saturday, February 16th. 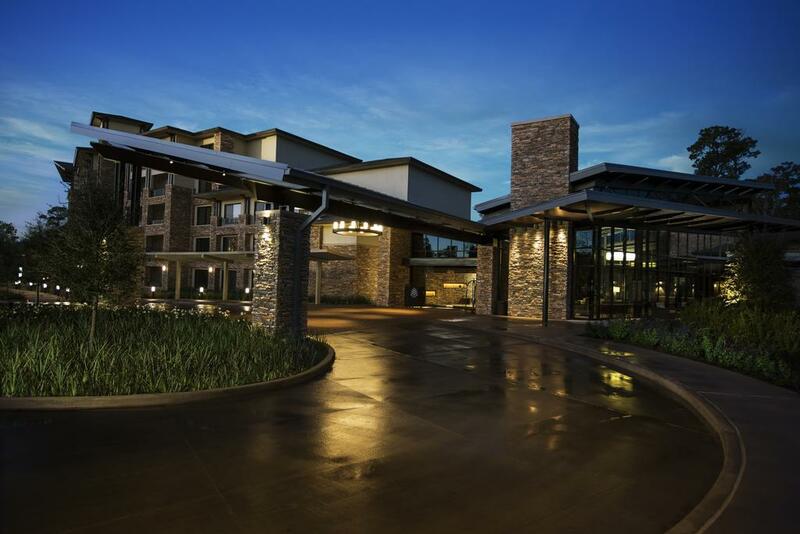 The Woodlands Resort is not to be missed for all lovebirds this February. Starting rate begins at $329, pending availability. Offer valid Feb 1-28, 2019. Must be of legal drinking age (21 or older.) Some restrictions apply. 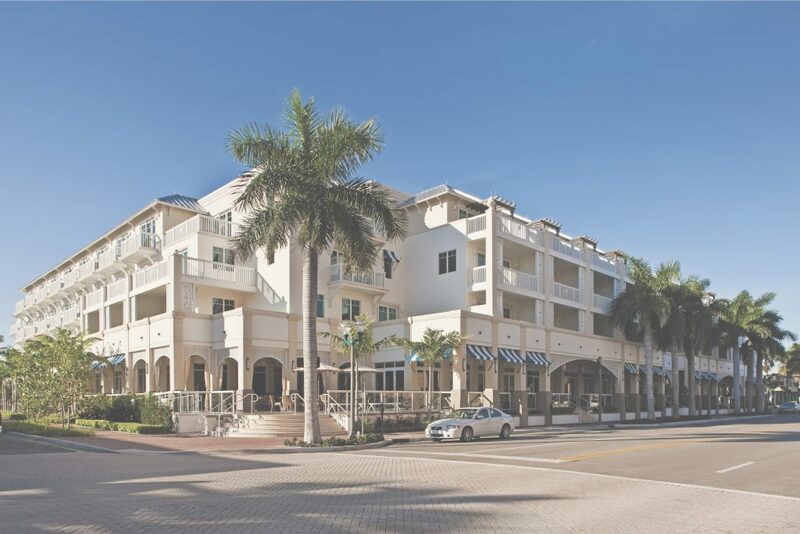 Nestled in the charming and quaint town of Delray Beach, The Seagate Hotel & Spa provides an intimate, romantic setting this Valentine’s Day that captures the relaxed-yet-vibrant lifestyle of Florida’s Gold Coast. This Valentine’s Day, couples can book the hotel’s Romance Package that includes deluxe accommodations, a complimentary bottle of Prosecco and chocolate-covered strawberries, plus a dozen long-stemmed red roses. To enhance the romance couples can relax in the 8,000 sq. foot Spa with the hotel’s Cupid’s Crush treatment. The February special includes a Pink Himalayan Salt Glow and Salt Stone Swedish Massage, an ESPA personalized facial, and a refreshing Champagne and Strawberries Manicure & Pedicure. Book package online using promo code: HNYMN, or call 1-877-577-3242. Offer valid for two-night stay in deluxe accommodations only. 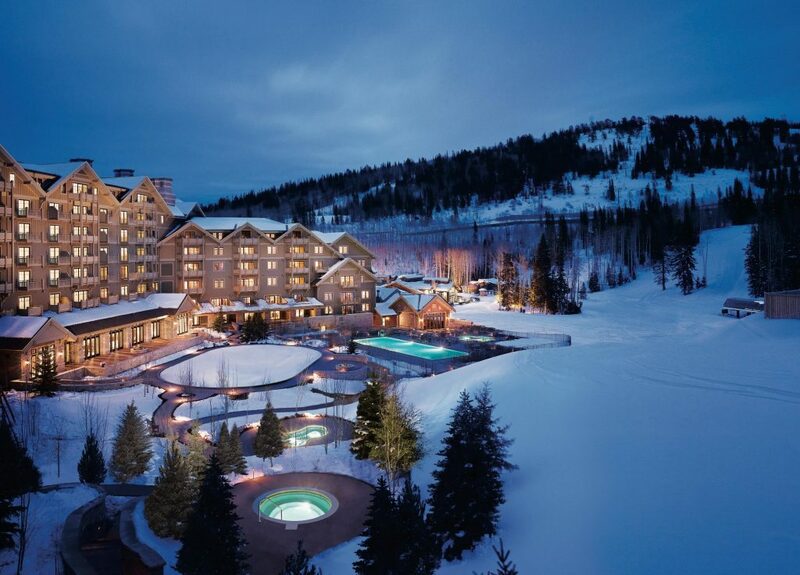 For pricing and reservations, please call Montage Deer Valley reservation desk- (435) 604-1300. 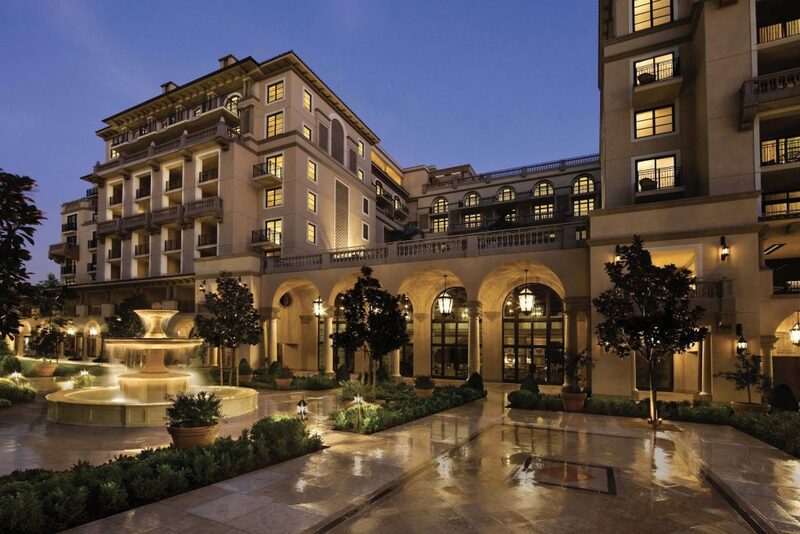 Celebrate Valentine’s Day with loved ones in the heart of Hollywood at Montage Beverly Hills. For those looking to celebrate in luxury with girlfriends, the Galentine’s Cabana Package is available from February 9-14 and offers a mimosa flight, chocolate covered strawberries and robes for perfect poolside lounging. Couples and friends alike can indulge in The Bar’s unique “Opposites Attract” cocktail pairing of The Heart and The Spirit cocktails, or head up to The Rooftop Grill for endless mimosas on Valentine’s Day. Couples looking for the ideal intimate venue will love the romantic four-course dinner menu at The Restaurant featuring delectable courses such as leeks and potato cream soup with black truffles, or the Chilean Seabass and Chocolate Bavarois. Add a little Southern charm to this year’s Valentine’s Day and venture into South Carolina’s Lowcountry with Montage Palmetto Bluff. Couples will love some respite together in the Spa Montage Palmetto Bluff with the “Lovers Jubilee” package, offering exfoliations, side-by-side soaks and a couple’s massage, all before dining on Southern favorites with fresh local ingredients in romantic Octagon Porch. When not relaxing in the spa, or soaking in the natural beauty of the Palmetto Bluff Conservancy, lovebirds can take to the water and experience private sunrise kayaking or a boat tour to a private beach for a day of exploration and adventure. 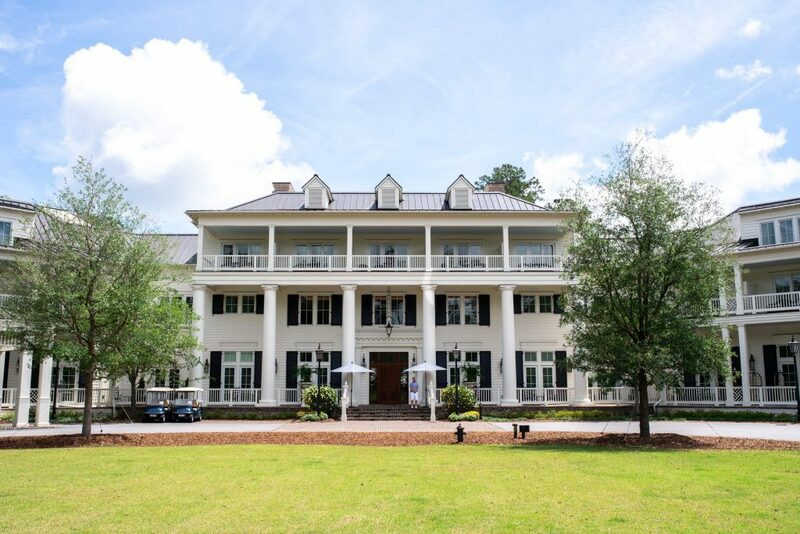 Couples will love the slow pace of life and soaking in the Antebellum beauty of Montage Palmetto Bluff by partaking in “porching”— which includes sipping sweet tea on the porch as night begins to fall and roasting s’mores by the fire pit. A daily ritual at Montage Palmetto Bluff that will transport couples to a sweet, simpler time. 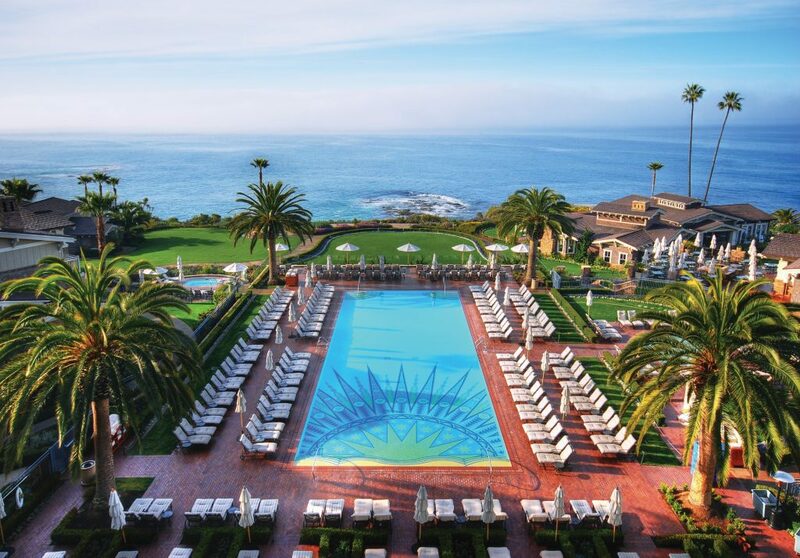 Montage Laguna Beach, the flagship Montage property set on a coastal bluff overlooking the Pacific in the heart of the vibrant arts community of Laguna Beach, offers the perfect backdrop for a proposal this Valentine’s Day. The resort’s “Love Awaits” engagement package includes a stay in an ocean-view suite, romantic five-course tasting menu with wine pairing for two at Studio, the resort’s fine dining restaurant, a and bottle of champagne, a couples massage, breakfast for two, one dozen roses and a photography session to capture the big moment. With this complete package, planning a heartfelt proposal can be a breeze. Pricing: $5,000. Make Valentine’s Day private and memorable at Montage Kapalua Bay with an unforgettable, four-course prix fixe dinner menu with wine pairings available at the resort’s historic Cliff House. This secluded, romantic destination sits atop a cliff with unparalleled views of Kapalua Bay and the neighboring Hawaiian islands, giving diners front-row seats to some of the most gorgeous sunsets. Continuing into the weekend, Montage Kapalua Bay offers Rosé on the Bay, with delectable food pairings and a variety of rosé champagnes, to be enjoyed by friends, lovebirds or even family, these gourmet delights are accompanied by Cliff House’s stunning sunsets and available on an a la carte menu through Valentine’s Day Weekend. 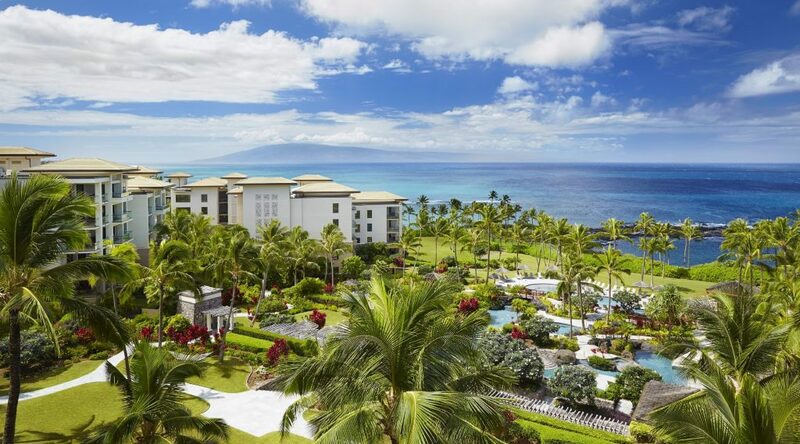 Images of Montage Kapalua Bay can be found here. Pricing and schedules for these events are available upon request. Love is always in the air in Philadelphia and The Logan perfectly sets the mood for the most romantic getaway yet. Within the vibrant “City of Firsts,” lovebirds can celebrate Valentine’s Day with an intimate escape for two when booking the All You Need is Love package. Lovebirds can relax in keepsake Rocky robes and indulge in perks including a private wine tasting or a private mixology class at Urban Farmer, a couples massage, a mixology class, special desserts and more. Rates start from $1099.00 for 2 people and must be booked at least 7 days prior to arrival. Located in Portland, Maine, Evo Kitchen + Bar serves up Eastern Mediterranean cuisine in a modern and sleek setting. Lovebirds can overlook the quaint city of Portland through floor-to-ceiling glass windows while enjoying the 2-for-1 Love Actually specialty cocktail, a fruity bright red love note from the bar world to your love. Pair this with Mediterranean-inspired dishes helmed by Chef Matt Ginn, a recent winner of Food Network’s CHOPPED. Evo’s menu is made up of small “mezze” plates for couples to share and also serves Tasting Menus featuring the best locally and seasonally sourced vegetables, fish, and meat. What’s more, the restaurant is located just a short, romantic stroll from the waterfront in the Old Port section of Portland – the perfect way to end a special evening. 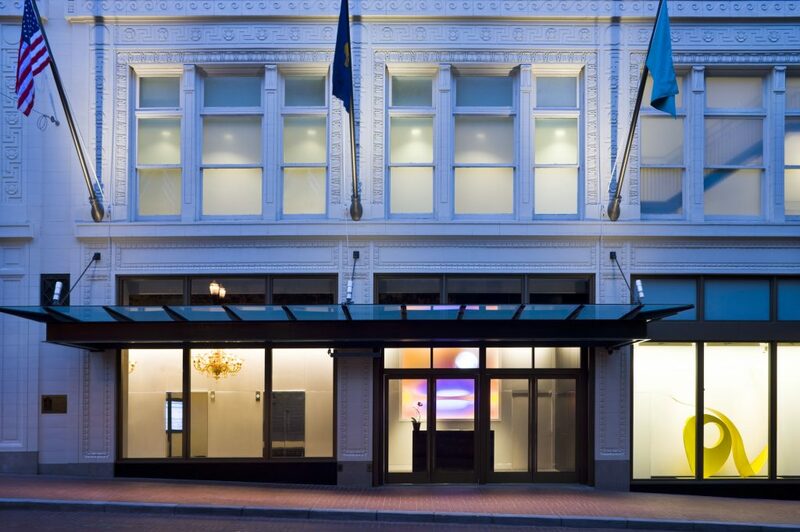 Set in the former Meier & Frank department store building, a Portland landmark since 1908 and Virtuoso member, the Nines is a contemporary homage to the structure’s storied past both in its striking, fashionable décor, and impeccable service. From Thursday, February 14 to Sunday, February 15, the Nines is celebrating Valentine’s Day by welcoming guests with in-room champagne and chocolate-covered strawberries upon arrival. Given this holiday special’s $150 food and beverage credit, couples can explore Portland’s food scene, or reserve a romantic night for two at a restaurant of their choice. Lovebirds can have a lazy morning with complimentary 1pm late check-out. Treat your sweetheart to a romantic Valentine’s Day Dinner Cruise with Hudson’s, Pier 81’s premier luxury cruise that boasts sweeping 360-degree views of the Manhattan skyline. Spend the most romantic day of the year on a luxury yacht while indulging in a delicious four-course dinner menu and champagne toast with the magnificently lit NYC skyline and Statue of Liberty as the exquisite backdrop. Hudson’s thought of everything, which means the package also includes a beautiful rose for the ultimate romantic gesture. The Valentine’s Day Cruise Package is available February 14, 2019 and February 16, 2019. Rates start at $110/adult for dinner, $50/child and $39 for cruise access. 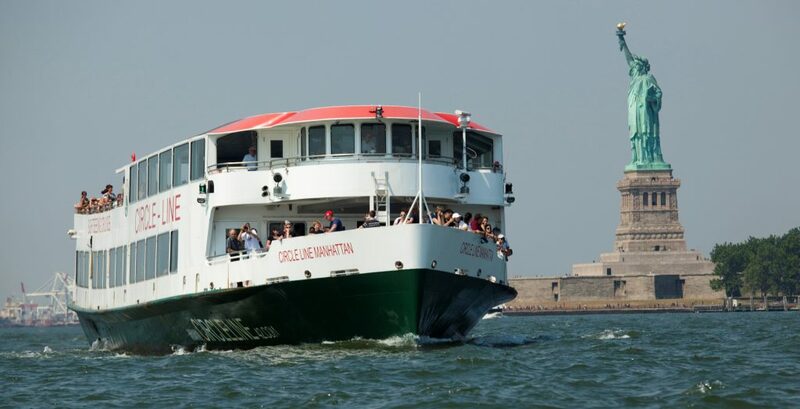 Cruise down the Hudson this Valentine’s Day with your loved one aboard Circle Line Sightseeing Cruises’ “Harbor Lights With Your Honey Cruise.” Take in the breathtaking NYC skyline with sweet treats including chocolate covered strawberries, cookies and a brownie, and toast with complimentary champagne as fireworks sparkle above. The dazzling sights and full cash bar will make valentines feel as though they’ve been struck by cupid’s arrow. 7:00PM boarding, 7:30-9:30PM sailing. $89 per person. Loews Boston Hotel is celebrating the day of love all month long with an offer so good it should be a crime! 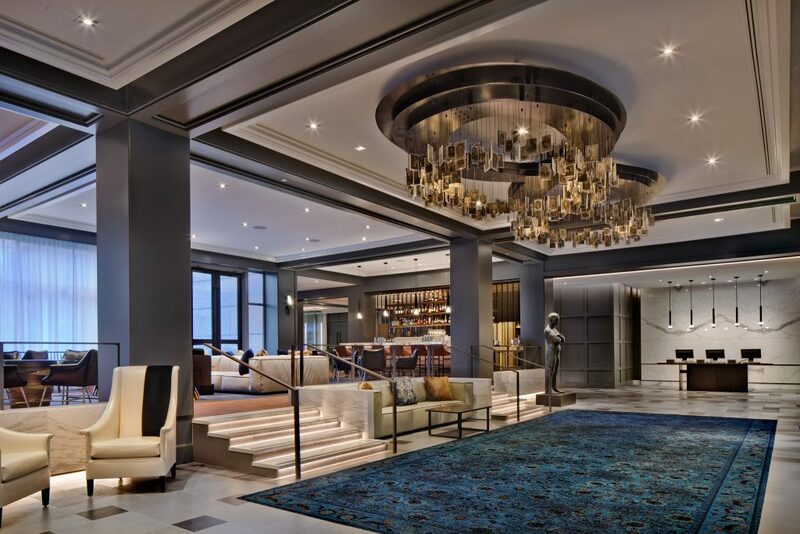 Inspired by the building’s historic past as the former home to the Boston Police Headquarters, guests will enjoy police themed amenities including complimentary nightly parking, food credit at Precinct Kitchen + Bar, daily coffee and tea in the Apothecary Lounge complete with late check out. Specials will be available at Precinct Kitchen + Bar every, Thursday, Friday and Saturday in February. 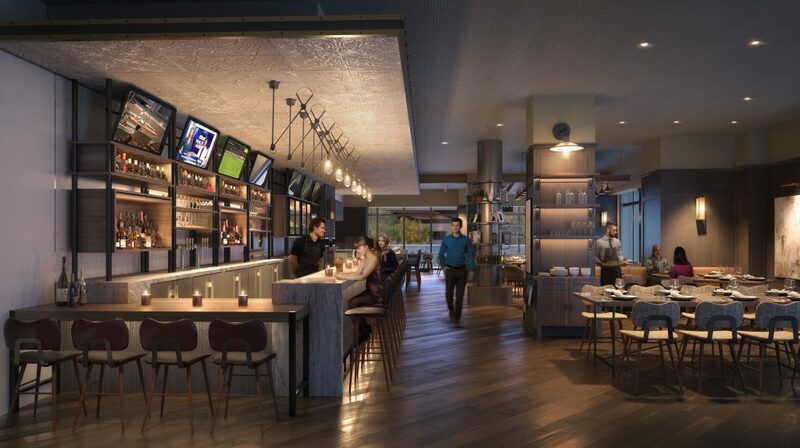 Locked Up at Loews includes: nightly Vehicle Impoundment (Parking for one vehicle); $50 in your commissary account (credit to Precinct Kitchen + Bar / room service); 24/7 complimentary Officer Fuel (24/7 complimentary coffee and tea); late release (late check-out). Get away for some romance and relaxation this winter. 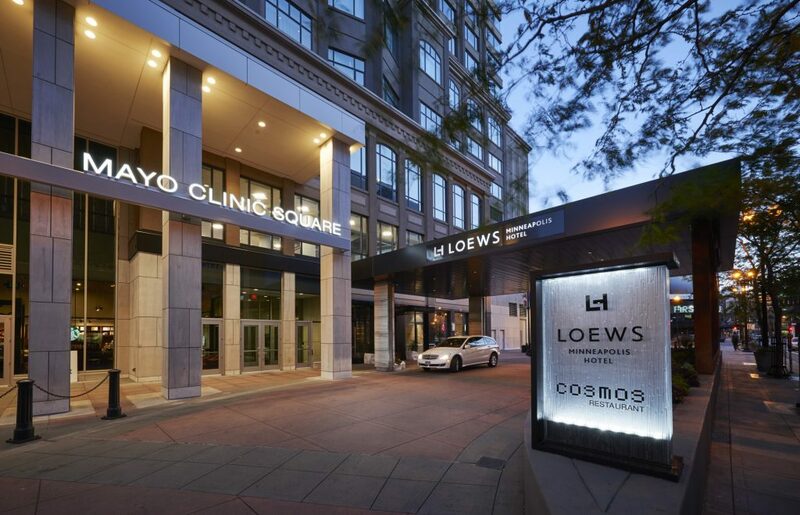 Connected to the Minneapolis Skyway System, Loews Minneapolis Hotel is centrally located in the heart of downtown and provides direct access to exploring 11 miles of downtown Minneapolis without having to step outside. Enjoy relaxation and rejuvenation with the Couples’ Bliss Spa package. The Embury Spa Harmony Suite offers the opportunity of having your spa treatment in the company of your special someone. The package includes overnight accommodations in a luxurious guestroom; an indulgent spa treatment for two including dry brush exfoliation, an 80-minute massage for each person, a Pino facial mask, steam shower, and a glass of Champagne served in the spa; and a bottle of Champagne delivered to your guest room with a box of two chocolate truffles. 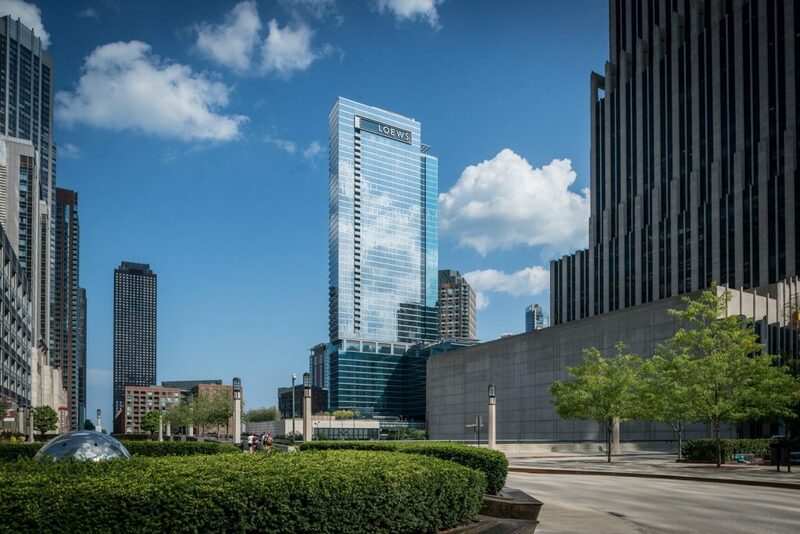 Located in the heart of downtown Chicago, just one block north of the Chicago River, Loews Chicago Hotel is the ideal home base to experience the wonders of The Windy City or stay in for a cozy getaway to enjoy each other’s company. Set the stage for a romantic getaway at Loews Chicago Hotel with the Room for Romance package. Woo your loved one with the intimate offering that includes hand-delivered Champagne with chocolate truffles, daily breakfast for two in ETA Restaurant + Bar or breakfast in bed via in-room dining, and 15% of two spa treatments at Spat at Loews Chicago. 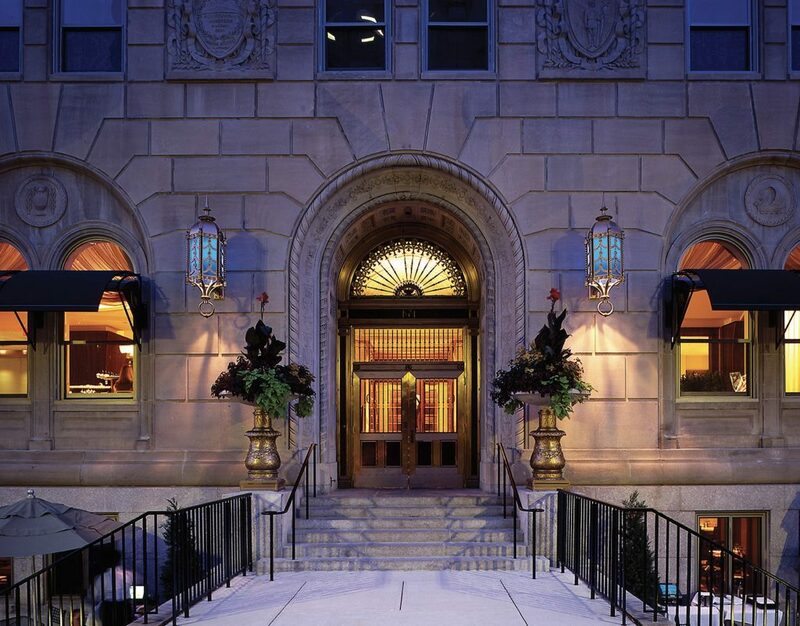 Loews Chicago Hotel provides an idyllic setting for loved ones this Valentine’s Day. Treat yourself to a stylish new look this Galentine’s Day. Located just a stroll away from Fashion Outlets of Chicago, Loews Chicago O’Hare Hotel offers a luxurious home base for experiencing the best of Rosemont. Fuel your shopping spree with breakfast at The Ashburn before you hit the stores. 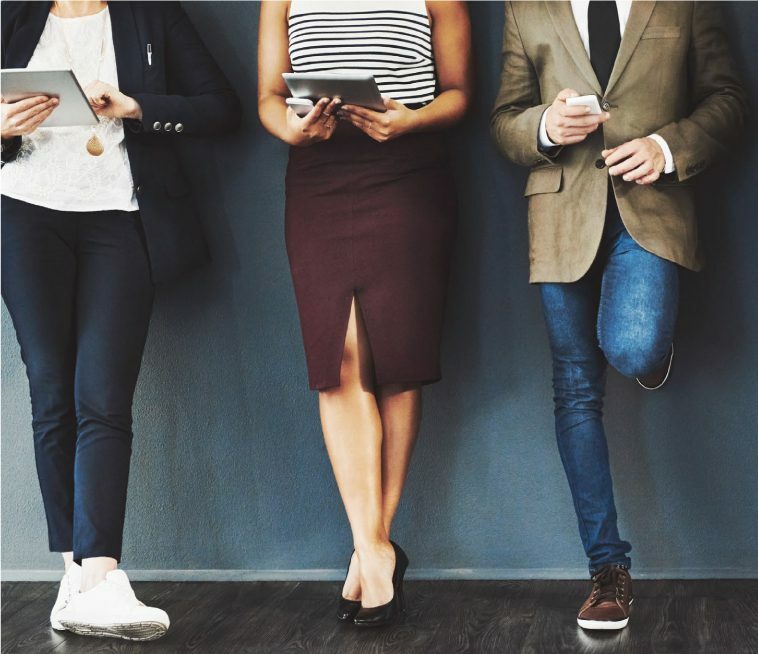 The Fueled for Fashion package includes a $50 gift card, complimentary breakfast at The Ashburn, complimentary self-parking for one vehicle each night, and a Fashion Outlet Savings Pass worth up to $800 in savings. 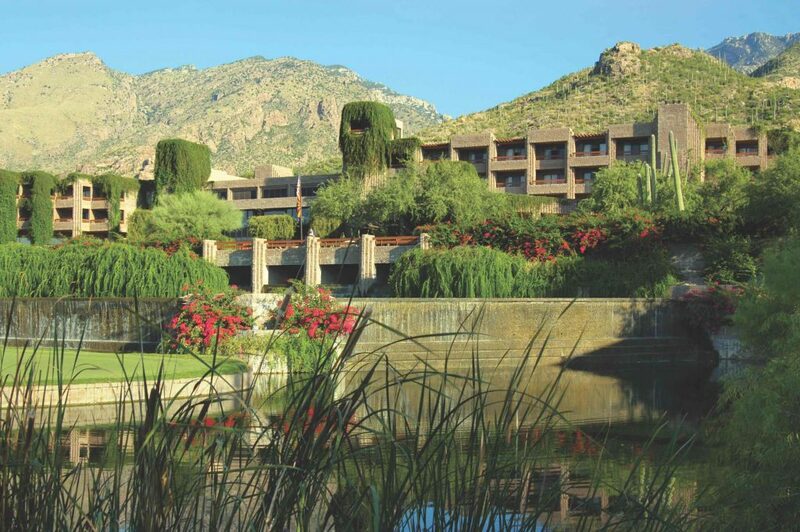 Nestled within the stunning Catalina Mountain Range, an overnight stay at Loews Ventana Canyon Resort makes the perfect gift to wow your significant other this Valentine’s Day. For the active loved one in your life, Loews Ventana Canyon’s “Putt and Pamper” package provides the best of both worlds with world-class golf and one-of-a-kind spa treatments. Boasting panoramic views of the Catalina mountain range, this romantic offering invites couples to enjoy a round of golf on one of two world-class Tom Fazio golf courses and the opportunity to see the most photographed hole (#3) west of the Mississippi. 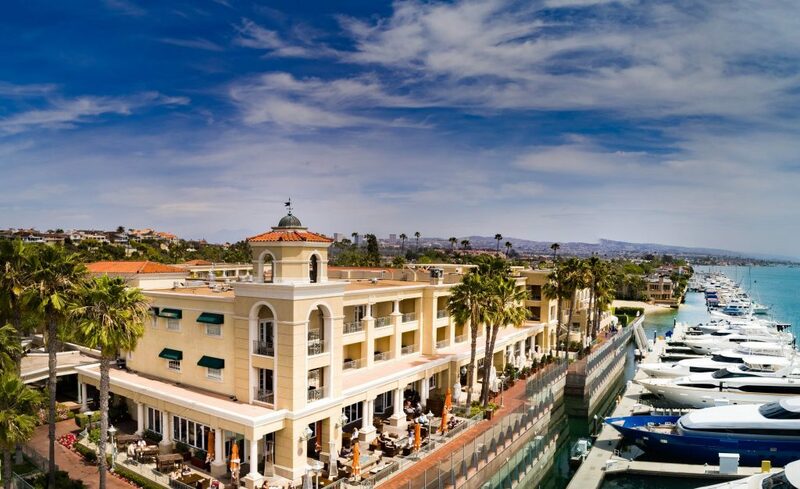 After a day of hitting the links, your Valentine can enjoy a day at Lakeside Spa with some much deserved R&R and experience the healing benefits of the desert with indigenous treatments like the Aloe Vera and Blue Corn Healer. 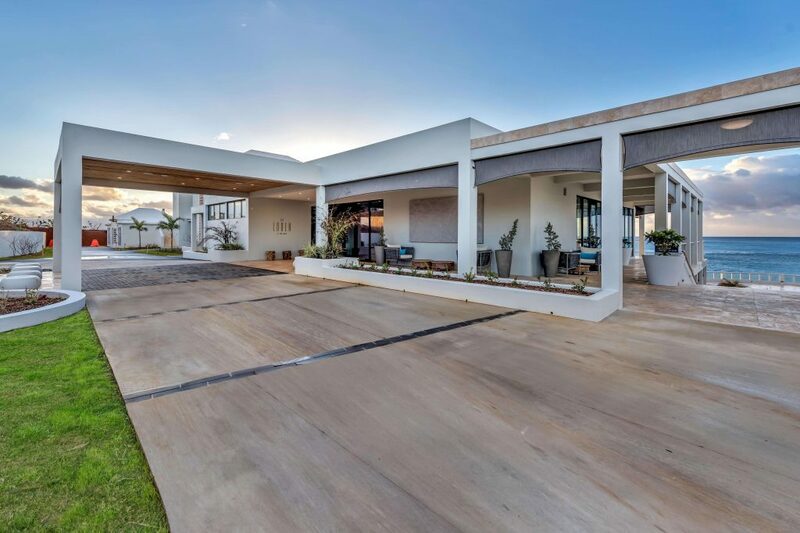 The Putt and Pamper package includes the following – Daily Round of Golf, Complimentary Driving Range Use, Golf Cart Use, and Bag Storage, Daily Spa Credit (subject to terms and conditions). Starting rate begins at $429. Located on eight acres of magnificent coastal landscape and combining two restaurants, beachfront pools, a full spa and exceptional service, The Loren at Pink Beach is the beautiful, beachfront Valentine’s Day getaway. Adventurous couples can go out on a boat with the chef, bring back their catch and have it prepared for their dinner; while couples more interested in intimacy can stay in one of the hotel’s 3,555-square-foot villas with uninterrupted views of the serene ocean extending to the horizon. After venturing out for couples’ treatments at the Spa, lovebirds can reserve a private poolside cabana to lounge on while sipping one of Bermuda’s famous rum swizzles, or take a dip in the infinity-edge (heated) pool. Couples can end their day with a laid-back at the oceanfront Pink Beach Club, or treat themselves to the fine dining experience at Marée. All are agreed that the best way to end each day is taking in the sunset with a romantic stroll on the pink beach sands as the warm sea breezes blow in. Launched in 2013 and inspired by the belief that memories are the best travel souvenir, Flytographer connects travelers with a community of hundreds of local photographers in 200 destinations around the world. This Valentine’s Day, couples can book their flytographer to capture each and every special moment from a romantic getaway. 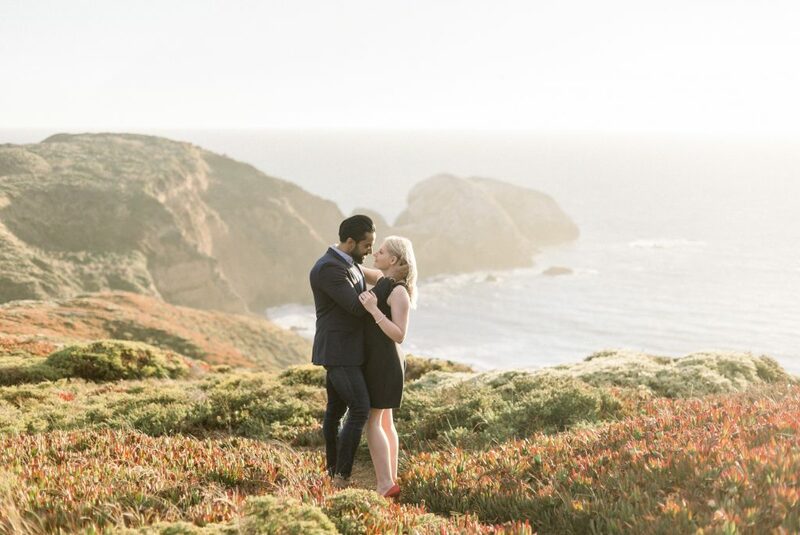 Whether it’s a honeymoon, anniversary, or Valentine’s weekend escape, Flytographer will change the way couples remember this trip by providing one-of-a-kind local experiences and beautiful photographs that will be cherished for generations. The best part? Each flytographer serves as an informal local tour guide, sharing insider tips on romantic spots to eat, places to see and special things to do, including the most photographic spots around the city, plus hidden gems and the places to avoid!